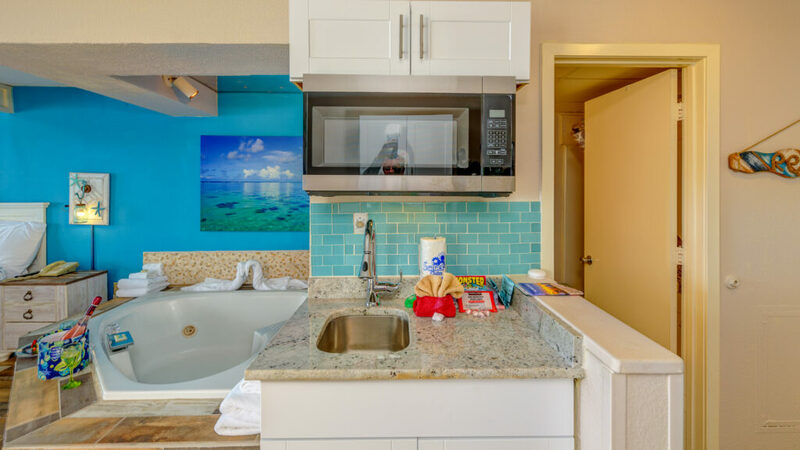 Updated for 2019….. All my repeat guests over the years loved the unit but asked for a kitchenette so I’ve listened and took action .. 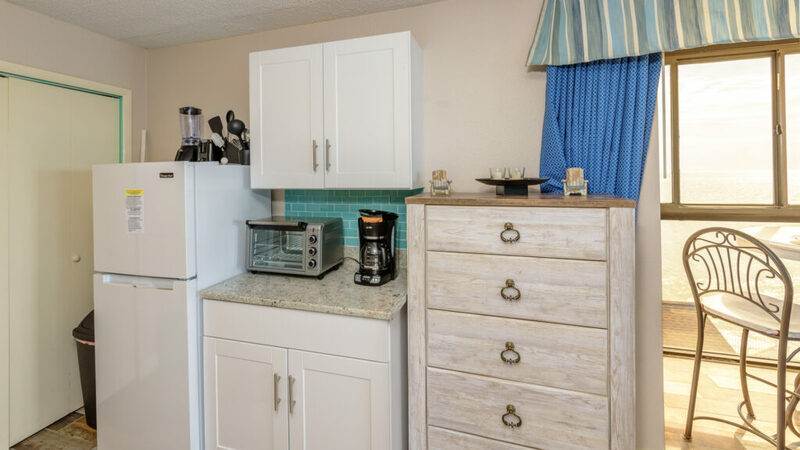 Kitchen added with sink, granite, full fridge, cabinets, backsplash, large stainless plug in oven, stainless microwave, plug in 2 burner, rock tile fireplace, updated bathroom. 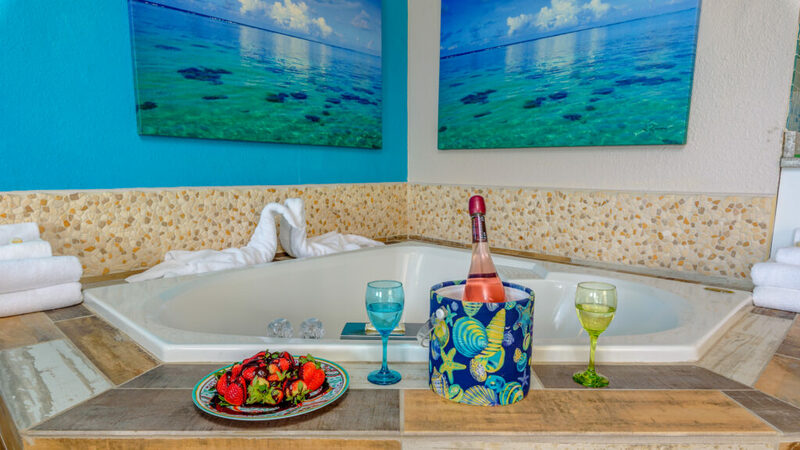 If you like jacuzzis, dolphins, views, a massage, alone time with your significant other then this the place for you. 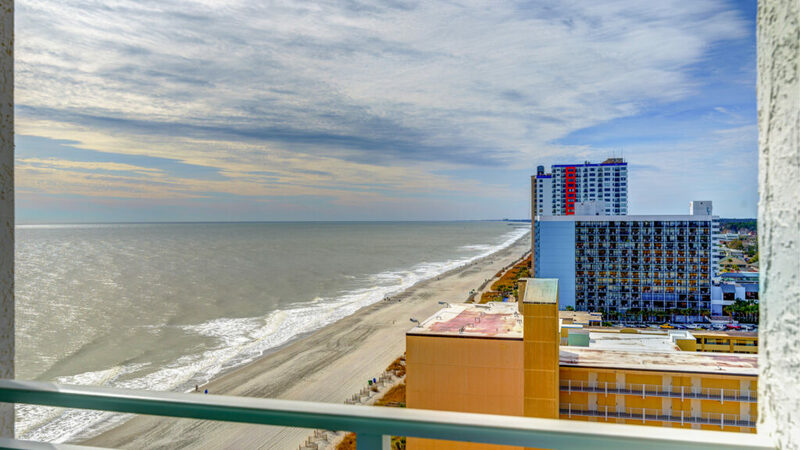 Wow this is a must see property. 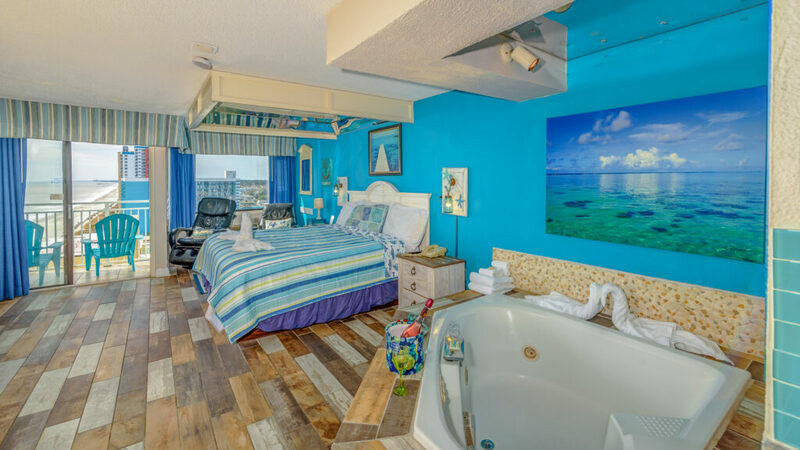 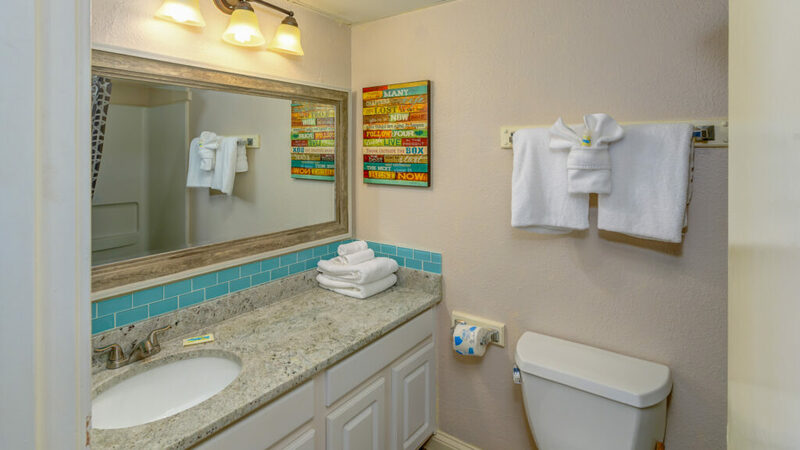 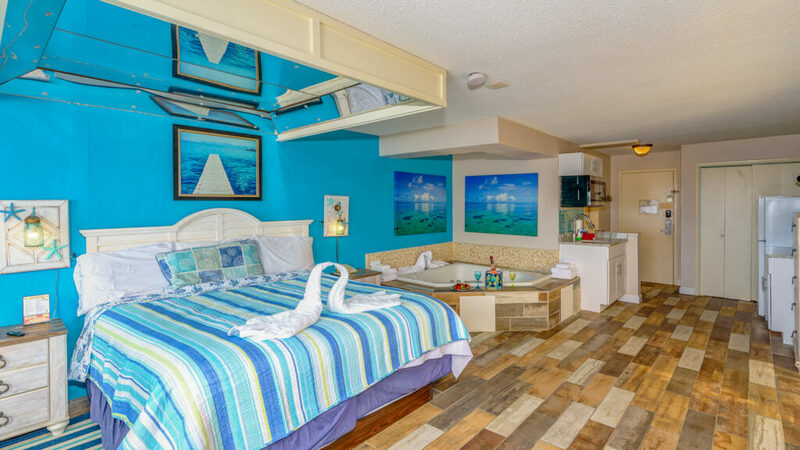 This room is completely custom from the tile to everything around it… this condo was once the highly requested romance suite that was affiliated buy the local chapel when people got married. 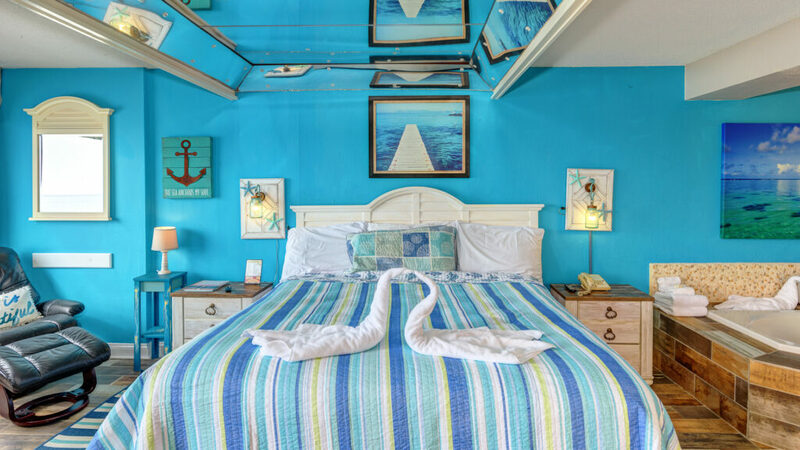 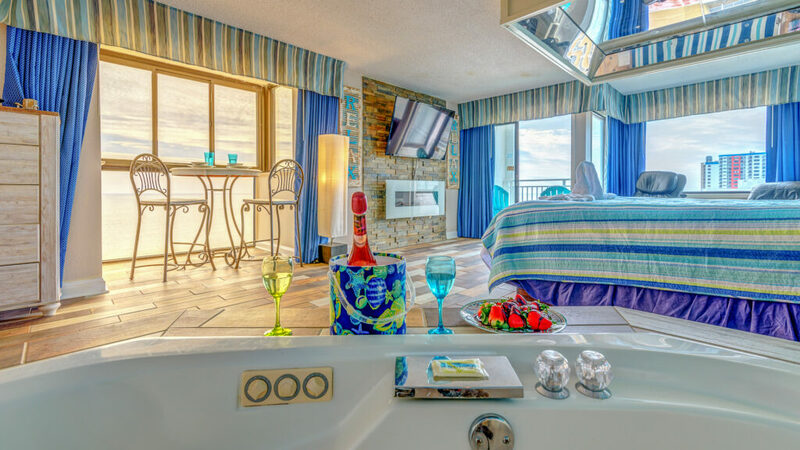 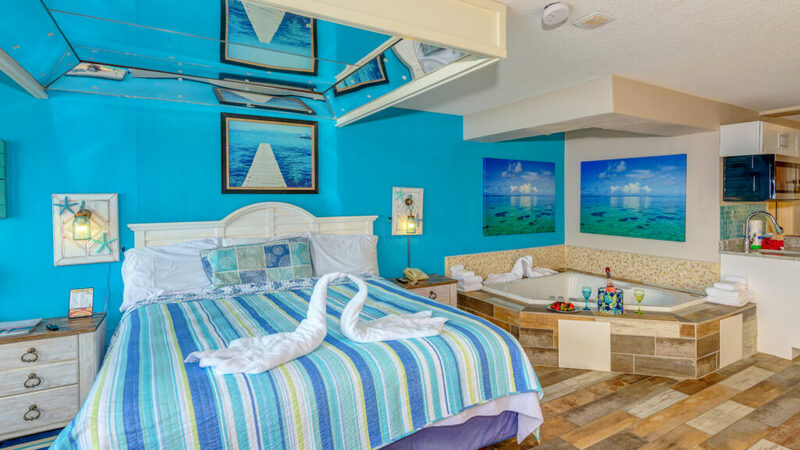 This romance jacuzzi suite is like no other property in the area. 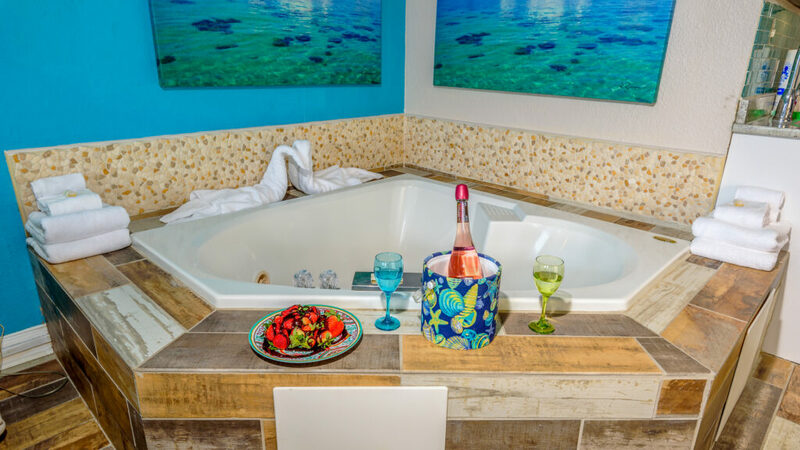 Just imagine yourself sitting in the big heart shaped jacuzzi overlooking the ocean while the sounds of the waves comes crashing in. 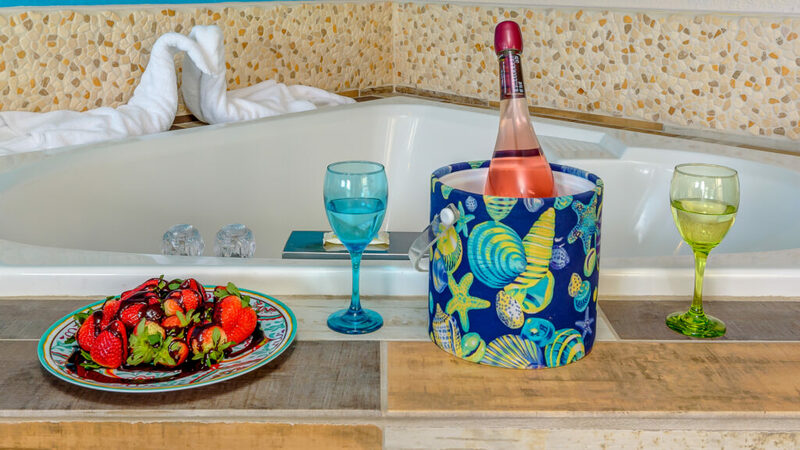 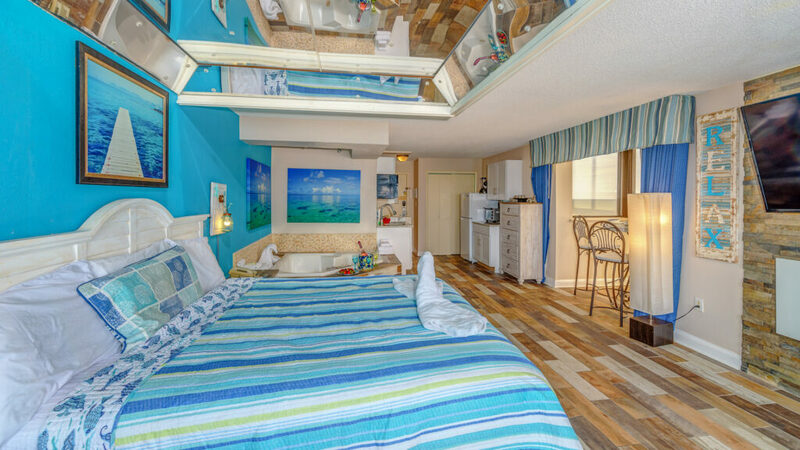 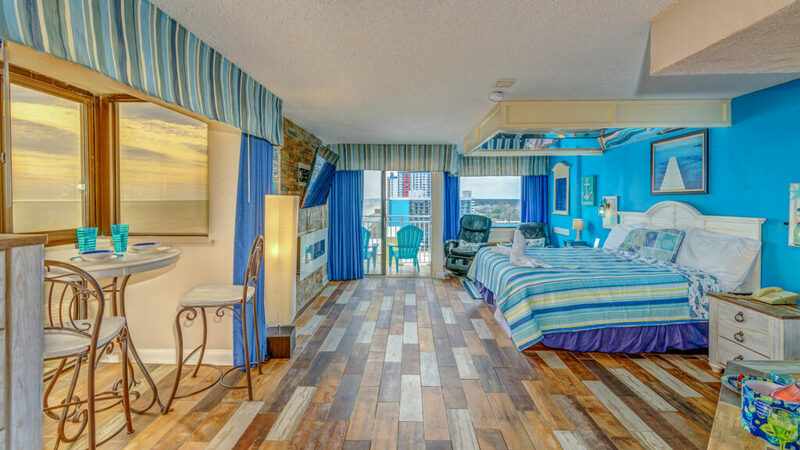 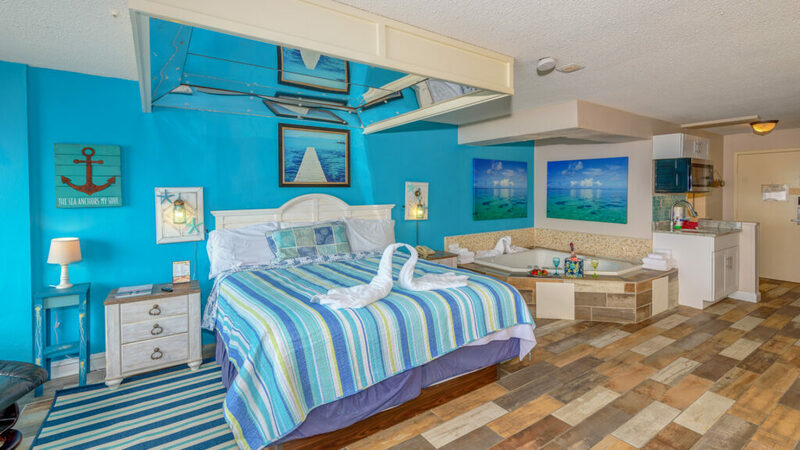 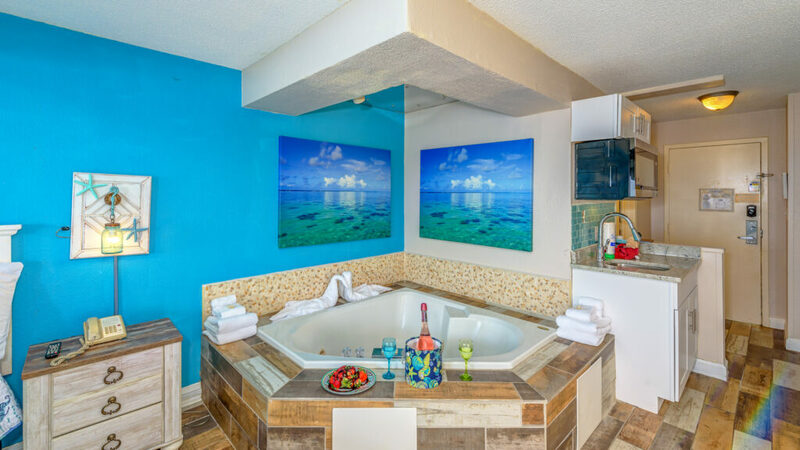 This is one of the only jacuzzi suites where there is an ocean view from the jacuzzi. 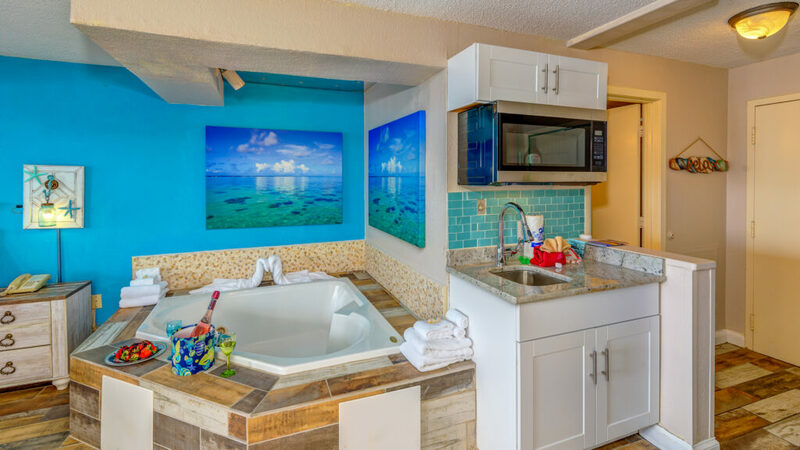 You can even swivel the huge 60″ TV towards the jacuzzi and watch your favorite movie while enjoying the jets of the jacuzzi. 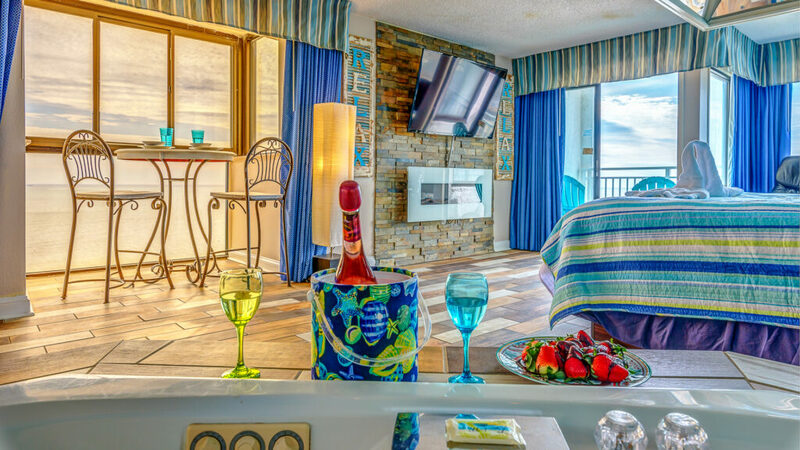 You can also stare at the beautiful fireplace while enjoying it also. 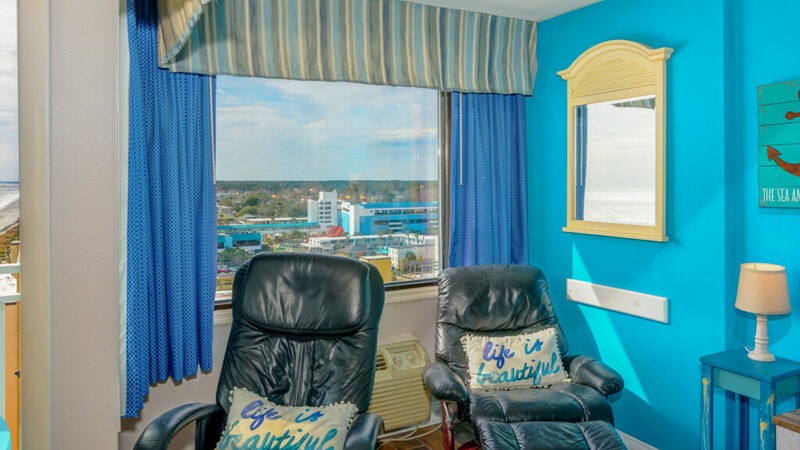 After a relaxing soak in the jacuzzi why not try the massage chair for “a full day at the spa” feeling. 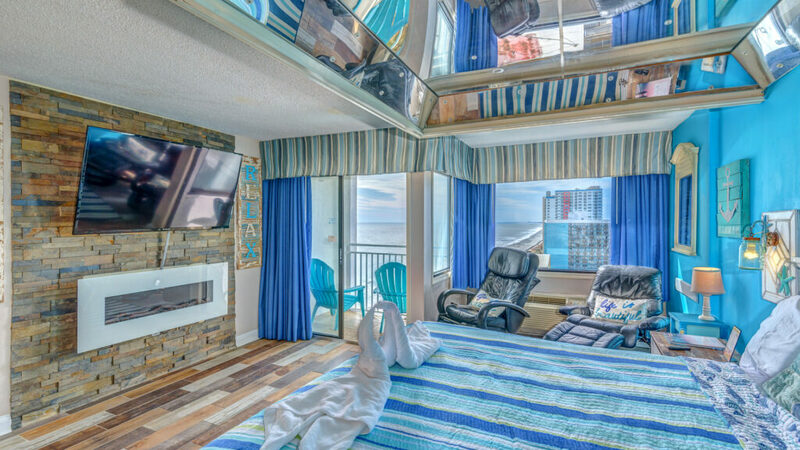 There is a huge king size bed with mirrors above, surround by bay windows to see sunrise’s and sunsets all from laying in bed. 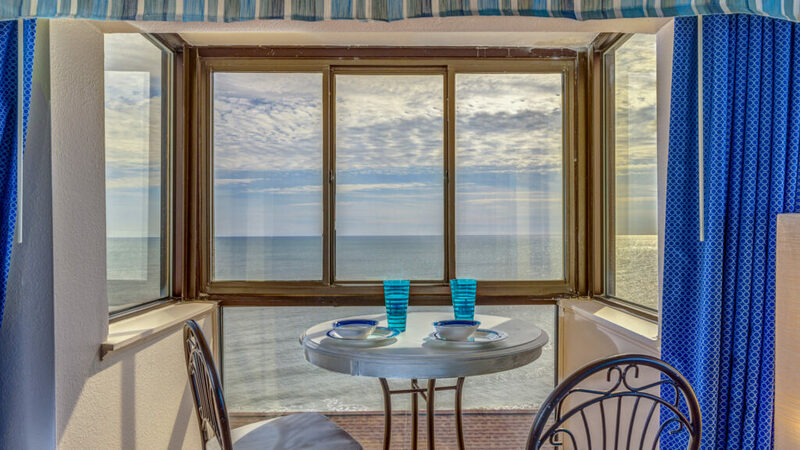 Once its time for dinner you will enjoy the views from the bistro table as there is a special kitchen area with bay windows all around giving you a breath taking view of the beautiful Atlantic Ocean. 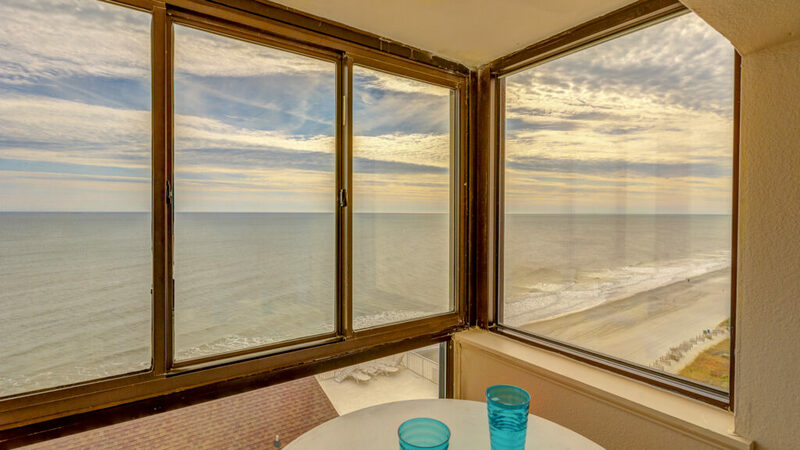 You will be able to see north and south right up the coast line all while having a nice meal. 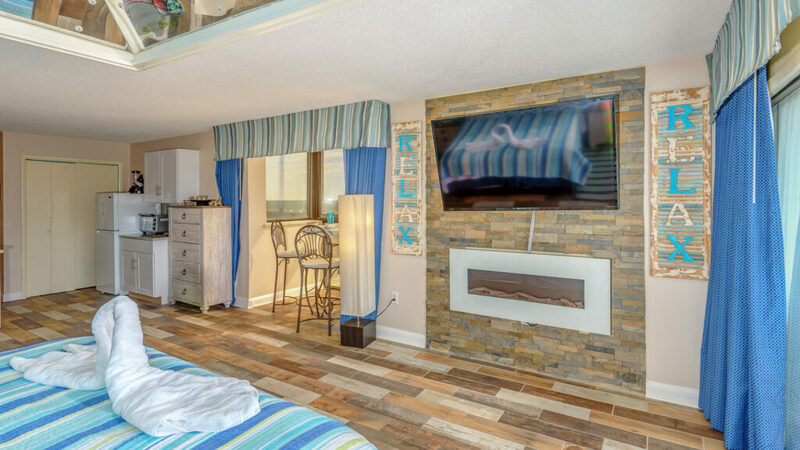 You will also notice the beautiful fireplace giving 51513 Driftwood at Sea Mist that special glow to help relax you after a fun filled day on the beach.. Sea mist also offers numerous indoor and outdoor pools, jacuzzis, sauna, onsite restaurants, huge arcade, and even more amenities for you and your family to enjoy before relaxing in this beautiful unit (waterpark across street and movie theater not included).